Your initial one-on-one session is designed to better acquaint you with the voice over field while allowing our team to learn more about your voice and your specific areas of interest. Our 15-point computer-assisted voice and speech evaluation examines speech traits including hyper and hyponasality, functional breath support, phonetic placement, and other areas of the voice that are critical in effective communication. Upon completion, your instructor will explain and answer questions about your results. You’ll also receive a 10- to 15-page detailed report outlining evaluation results, areas of strength, and opportunities for improvement. Evaluation and Basics are an essential beginning to providing an outstanding, ethical, and individualized educational experience. Voice Coaches reserves the right to discontinue training with individuals who do not meet basic speech-language requirements as determined in our evaluation process. Affected students are granted a full refund. When it comes to voice over, a “good voice” and a demo isn’t everything. Building long-term success and repeat work relationships requires the skill and industry knowledge to provide your service as a true professional. Your next two one-on-one classes are designed to provide current industry know-how, techniques, and skill development. These sessions will also be an opportunity for you to work with your coach in determining the type of material that interests you and best fits your voice. We believe every voice is different and we’ll work hard to help you showcase your greatest strengths! And, because we recognize that voice over is a skill, we’ll encourage you to take time between your classes to practice, develop skill, and enjoy the process. Our one-on-one approach means your schedule is based on what’s convenient to you, including evenings and weekends! In addition to your one-on-one sessions, you’ll complete four classes through our web-based Virtual Classroom. These classes include Professionalism & Etiquette, Preparing For The Job, Exploring Motivational Assignment, and Effective Self Marketing. Each class contains video and audio segments along with downloadable workbooks and exercises. Our unique personalized online system also allows you to access our entire copy library and save or print favorites for future review, access and change content on your included personal web site, communicate with your coach, and much more. And for those who are not computer savvy, all web-based educational content is available in hard copy. You’ve learned about your voice, developed skill, and collaborated with your coach on copy that interests you and ideally fits your voice. Now, it’s on to the studio! 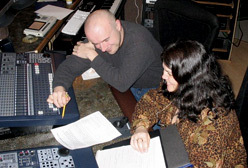 Scheduled at our world-class main studios, or at a Voice Coaches Certified Studio convenient to you, Studio Immersion is an in-studio recording and educational session. With you at the microphone, your coach will take you step-by-step through a variety of scripts pre-chosen in your previous sessions. We’ll listen to your ideas and at the same time provide clear input and direction. The goal: provide real-world studio experience and insight while developing a broad range of professionally recorded material that showcases your specific strengths. This session is an invaluable asset in building confidence and professional-level experience while providing a comfortable client-oriented experience. As a voice over artist, your demo is considered your audio resume. 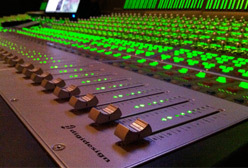 Network-quality demo production is currently an included component of your Premier Program. 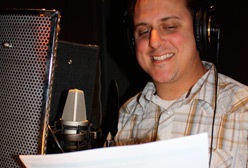 However, instead of insisting that each client completes a commercial or narrative demo, we work with you to determine your strengths and areas of specific interest in the voice acting field. We then focus your demo on the areas you are most interested in. Examples include demos in narration and long-form reading, commercial, video gaming and anime, or public service & socially relevant material. Once recorded, that material will be reviewed. edited, combined with background music and other sound elements, and digitally mastered to network quality. Once your demo is complete, you own all rights to the recording and are free to duplicate and distribute it in any manner you choose. Additionally, all scripts used by Voice Coaches are legally licensed and do not infringe on national brands, products or services. In addition to long-term support from our full-time administrative, coaching, and production team, the following products and services are also included components of the Premier Program. Your MP3 demo provides a reduced file size while retaining tremendous audio quality. They are great for sharing via email or the web. All commercial & narrative scripts are legally licensed. Instead of a page on a web site with dozens of other voice over artists, you’ll receive a dedicated web page with your contact information and demos! In addition, our personal web system lets you make changes to your website at any time. 1 year of hosting is also included. Value, confidence, individualized support, and realistic perspective. My wife Anna and I built this organization from the ground up with a focus on our clients. Rather than a “learn to break in/get rich quick” approach, we present the voice acting field in a manner that’s realistic, tangible, and fun. Instead of group education, our entire process is one-on-one. The end result is individuals who are not only excited about the field but also well prepared for success. As a Voice Coaches client, your specific goals and interests become our focus. We have clear professional policies and long-term affiliations with the Better Business Bureau and numerous other industry organizations. We are committed to client satisfaction and have deep respect for the voice acting community. In addition to education and demo development, our world-class studios host major clients including Nickelodeon, Discovery Network, HGTV, McGraw Hill Publishing, Disney, GE, MTI, and countless others. But perhaps most importantly, Voice Coaches is a dedicated, full-time professional organization and we are committed to the clients who trust us with their training. I sincerely look forward to putting our experience, reputation, educational resources, and genuine love of our field to work for you! And if it’s ever a help, I’m pleased to jump on the phone with you to answer your questions personally. *zero interest program payments may be available. Including Voice Evaluation, One-on-one Training, 4-module web-based training, Studio Immersion session including all studio time, Professional targeted Demo Development, Personal Website, Digital Master (MP3 format) of Your Demo, Certificate of completion, Long-Term Support. Please See Opt-Out Policy Below. In an effort to ensure complete client confidence, clients enrolled in the Premier Program can discontinue training at completion of their first class for any reason. Clients choosing to discontinue are billed for their first session and refunded the remaining program balance. As a result of recent tightening in loan institution lending regulations, Voice Coaches is offering interest-free installment financing. This program allows Premier Program students to offset their program investment over four to six months. A one-time financing fee of $65 is required for participation. Voice Coaches reserves the right to terminate training with any student that does not meet basic speech-language requirements. Affected students are granted a complete program refund.